Asian women tend to undergo a lot of eye and nose surgeries for the sake of getting a western look. 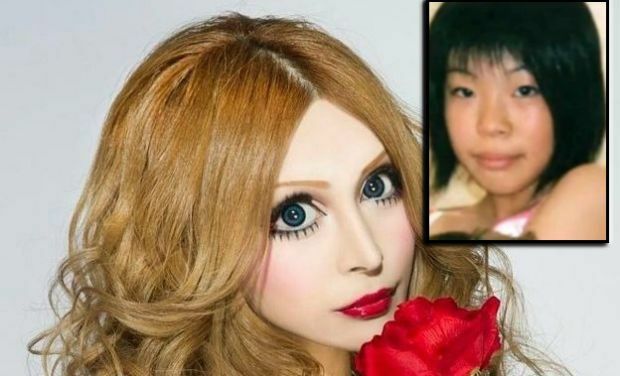 Meet Vanilla Chamu, a Japanese model who has spent more than $100,000 just for the sake of looking like a French Doll. Do you remember those classic vintage dolls with big blue or purple eyes? If you do, then you can surely compare Vanilla’s current looks with them. She has undergone more than 30 different plastic surgeries and procedures for the sake of looking like a Living French Doll! What Does Vanilla Plan To Do Next? The only thing that she has not achieved till now is height; Vanilla states that her next procedure would be the most extreme one as she is planning to get her height lengthened for the sake of getting that slim and petite body of a doll that stands upright in the plastic case. When you compare the current photos of this lady with the earlier ones, you find out that there are a lot of differences between them. All of her surgeries have proven to be successful for her. Next articleHugging someone for more than 20 seconds makes them trust you more.